At the end of the Concert, the Head of Sixth Form, Andy Biggs, read out the school achievements of every Y13 pupil who had taken part. This was very moving. They then sung one final song. Well done to Michelle Bird and her team for all the hardwork they had all done, and the pupils when they have all their exam and course work to do. Presentation and Q&A to the whole of year 10. Michelle also brought some Brass players to support the Civic Service. 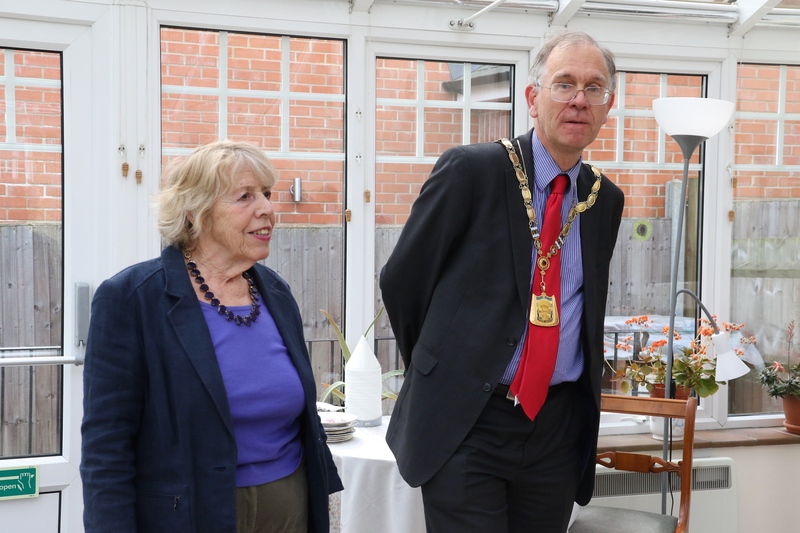 Yvonne and I had the opportunity to talk to other guests, parents, pupils, staff, and governors. An evening to be remembered. The Society which started about 20 years ago, meets at Manor House Sports & Social Centre, Gallows Hill Lane, Abbots Langley at 8.00pm. 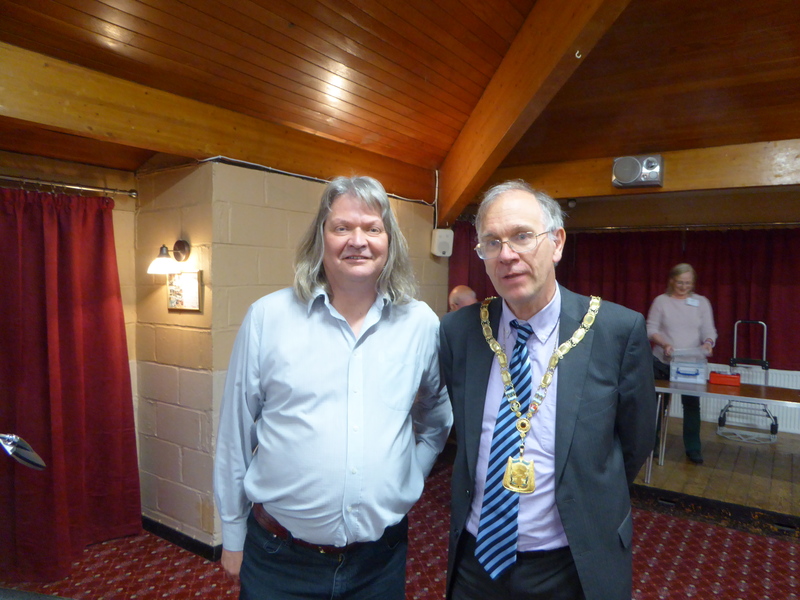 It was the Clive Clark Lecture Court Entertainment to Ceilidh by Mike Ruff. Mike had an illustrated talk and played music to bring to life the dances he was talking about. He started with the Tudors and then covered the next 500 years. He talked about the history of dance, where people danced, what they wore. He explained how country dance and folk dance have been kept alive. He also touched on the American influence. After the break he answered questions. With the speaker Mike Ruff. There are three Scouts districts that cover Three Rivers – Chorleywood & Rickmansworth, Watford North , Watford South. Yvonne and I attended the Watford North Scout District annual St. Georges Day Parade and Service. The service was held at Christ Church, St. Albans Road, Watford. Watford North has groups in three Districts or Boroughs – Watford , Three Rivers and St. Albans. The Bricket Wood Group is St. Albans. The Three Rivers Groups were Abbots Langley and Langleybury. 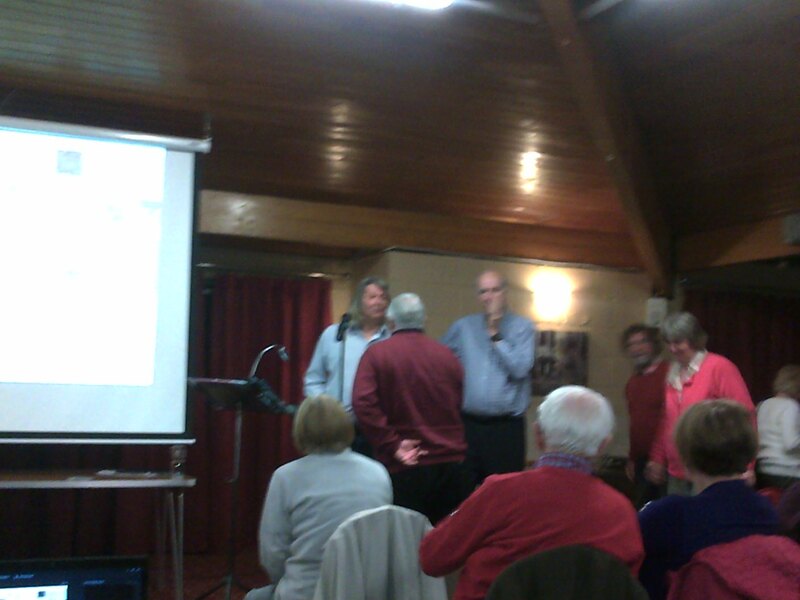 The Service had been organised by the Langleybury Group. They had many Beavers , Cubs, Scouts, Explorers and Network involved. The presenting and giving back of all the flags was very efficient. After the service the Parade went up the St. Albans Road. After the march past, we then inspected all the groups. The Police on duty were specials so, like the Scout Leaders, all volunteers. The weather was better than forecast. I have seen many St. Georges Day Parades, the only one which was more memorable was the time I was a Queen’s Scout and we paraded at Windsor Castle and a service in St. Georges Chapel. Well done to all the organisers. It was standing room only for some of the parents. A well-attended , well organised and extremely well executed event. This was my second trip to Abbots Langley in one day. 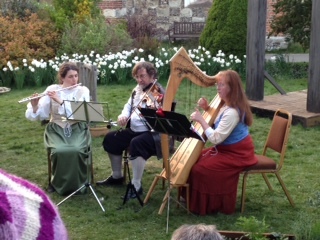 The event had been organised by the Abbots Langley Players, who were performing the last night of the Herbal Bed in the Church yard and Church(Blog: Herbal Bed – 22 April). I met many different Groups. 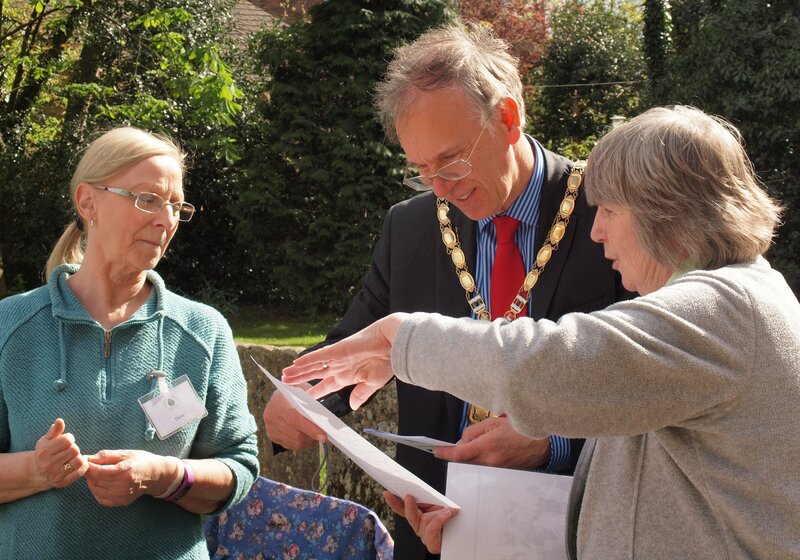 It was a great opportunity to meet new and familiar faces who volunteer and work within the Abbots Langley community. There were stalls within the Church yard. They were one of the groups who were successful in being chosen to take part in the Royal Shakespeare Company open stages project. The production we saw was Peter Whelan’s The Herbal Bed written in the 1990’s for the RSC. David Tennant was in the first production. 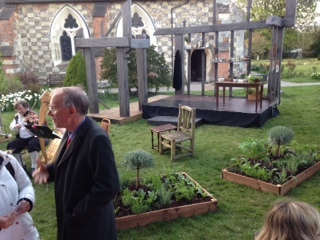 The first half and the first scene of second act was in the Churchyard. A stage had been constructed in a day. Seating had also been installed. The amount of work the actors and backstage team have done was amazing. 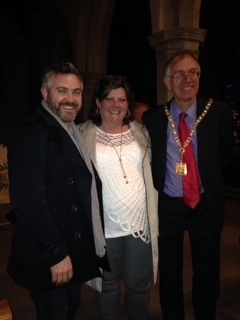 Yvonne and I really enjoyed the play in which the main character was Shakespeare’s daughter. Producer Colette Holmes “This production has been an amazing experience from beginning to end. 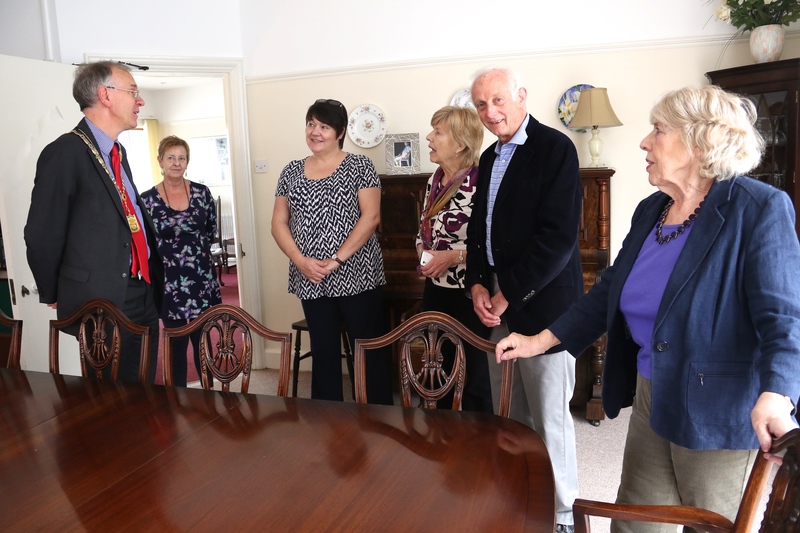 We have worked with many individuals and societies to make it a real community project. My mentor, James Farrell from the RSC (currently directing The 39 Steps at the Criterion) has been a wonderful guide and tutor. I am so proud of all the cast and crew for working so hard to deliver a fine show”. Key facts about William Shakespeare. Born on April 23, 1564 and died on April 23, 1616. Next year will be the 400th anniversary of his death. 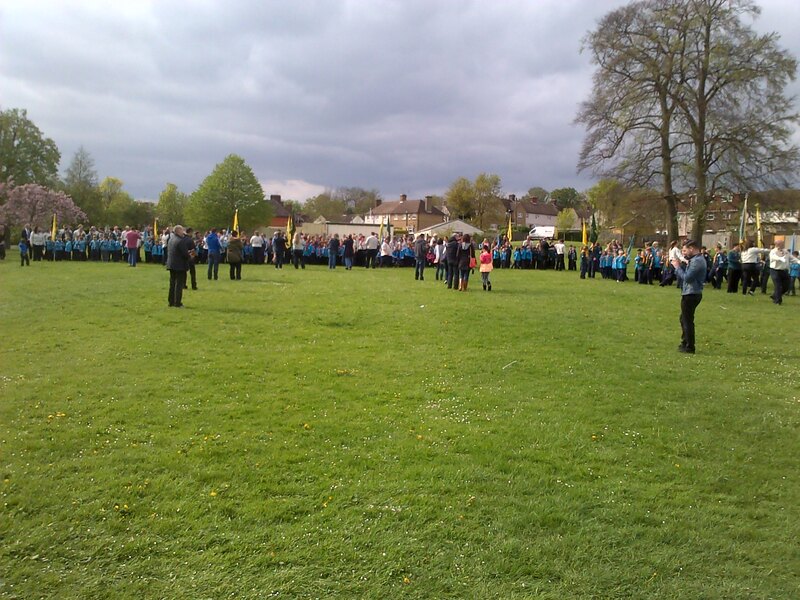 The Sea Cadets Inspection and Demonstrations, was an opportunity for parents to come and see their children in action. I was welcomed by Fabian Hiscock, Chairman of the Sea Cadets. The Sea Cadets are based at Cassio Bridge, Watford Road, Croxley. The leaders give up their time, week in week out, for the young people to learn many skills. They also do many weekend activities. 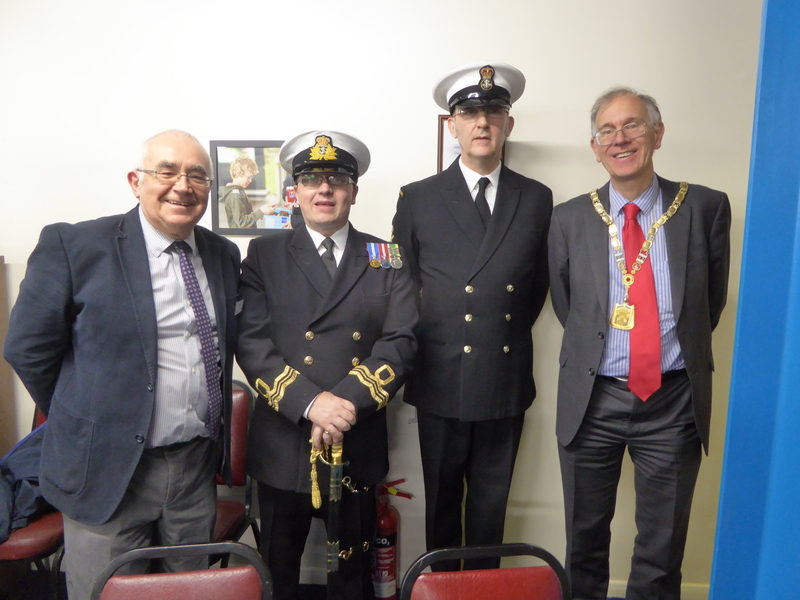 Also present were members of the committee, the Chaplain (Vicar of St. Mary’s Watford), the President of the Sea Cadets, Les Mead and his wife Carol and also Councillor Wendy Jordan. The inspecting officer, Deputy Area Officer, Lt Cdr Cliff Lewis, works full time for the Sea Cadets in their head office in London. The District Officer, Lt Cdr Karen Fulton, works for the RAF Benevolent fund, and travels all over the UK providing youth projects for service children. 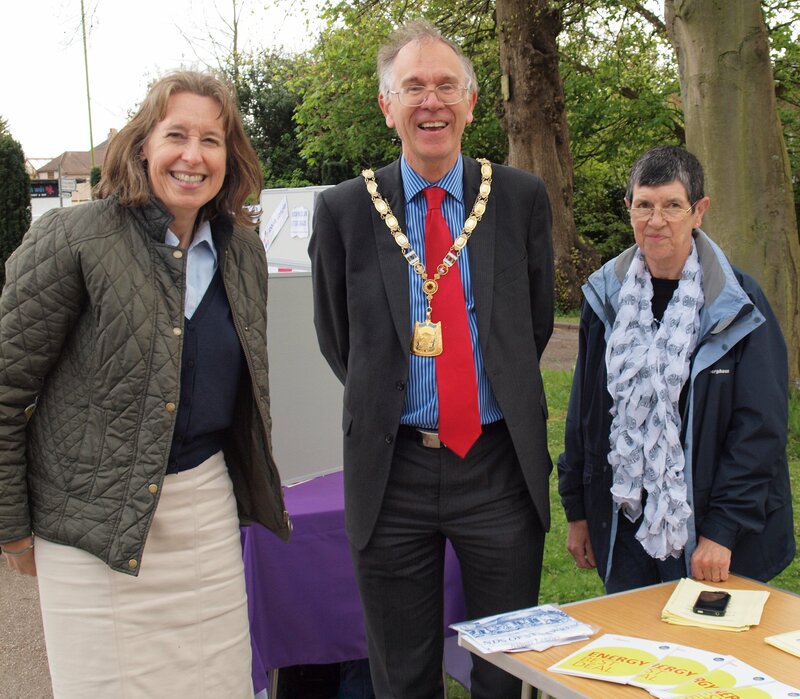 She also provides a very active support for the Croxley Sea Cadets. She is the first person I have met who was born in Thurso.